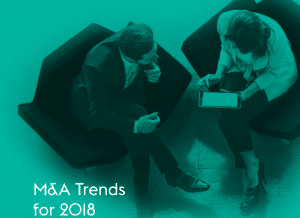 In a publication released last week by Russell McVeagh, the leading New Zealand law firm considers the trends in merger and acquisition activity over the last three years and what to expect in 2018 in relation to general market trends, general legal trends and specific deal terms. “New Zealand saw strong M&A activity in 2017, with completed and announced deals up 12% in volume, from the previous year. We expect to see a stronger year ahead for M&A activity, with resilient market sentiment early in the year. We are seeing, at a very early stage in the year, strong interest from industry buyers in key sectors”, says partner Dan Jones, Head of Corporate Advisory. “In addition, there remains a significant amount of funds available to be deployed by local and Australian private equity funds in New Zealand, with sovereign wealth funds showing continued interest. All of this points to a strong year for M&A and, potentially, capital markets activity,” he also states. Russell McVeagh was recently ranked 18th in Australasia for overall M&A deal value in Mergermarket’s annual league tables, with a total of 12 deals the firm acted on being recognised. The league table ranking reflects the firm’s role on some of the country’s most significant and complex transactions, and follows on from the firm being recognised as Large Law Firm of the Year, Employer of Choice, Deal Team of the Year – Corporate Advisory team, as well as winning five of six deal categories including New Zealand Deal of the Year, at the 2017 New Zealand Law Awards in November, and named 2017’s IFLR New Zealand Firm of the Year.